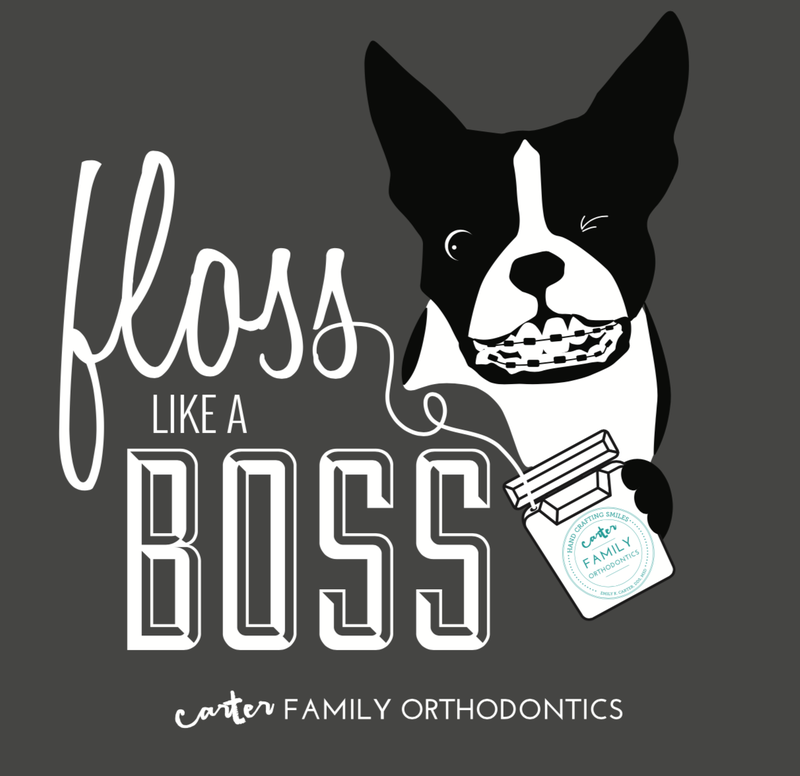 Starting January 8, join Carter & Higgins Orthodontics for the “Floss Like a Boss” challenge. The challenge lasts until February 8. All patients can participate, and here’s how to play! If you post a photo for 15 days, you get an awesome t-shirt. If you participate for 30 days, you get a t-shirt and are entered to win an iPad mini! The winner will be chosen on February 8. It’s more important than ever to brush and floss regularly when you have braces so the teeth and gums are healthy after orthodontic treatment. You’ll want to be gentle when you brush or floss in order to avoid damaging the wires and brackets. Thread floss carefully between the tooth and the braces wire, then work it slowly back and forth between the teeth and braces. Remember that too much force when flossing can damage your braces.